David John Stollery, III (born January 18, 1941, Los Angeles, California) is a former American child actor and, as an adult, a noted industrial designer. He appeared in numerous Disney movies and television programs in the 1950s. He is best known for his teenage role as the loner "Marty" in the television serials Spin and Marty on the Mickey Mouse Club in the mid-1950s. At the age of seven, he was named "Child Actor of the Year" for his role in the Broadway production On ... See More Borrowed Time. He then appeared in several films, including A Connecticut Yankee in King Arthur's Court in 1949 and Where Danger Lives in 1950. In the early 1950s, Stollery appeared in various television programs, including I Love Lucy, Dragnet, My Friend Irma, The Red Skelton Show, and The Ray Milland Show. 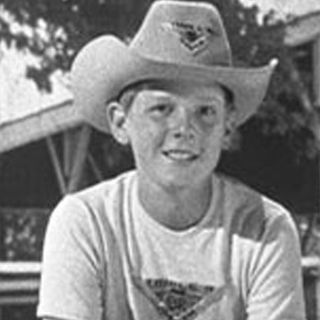 It was on the latter program, in the role of "The Prodigy", that Walt Disney took notice of his acting and had the 14-year-old signed a Disney Studio contract to play the lead character of "Marty Markham" in the Spin and Marty serials televised on the Mickey Mouse Club between 1955 and 1957. In 2000, Stollery and Tim Considine, his co-star in the Spin and Marty serials, made cameo appearances in The New Adventures of Spin and Marty: Suspect Behavior, a made-for-TV movie. A DVD version of the Adventures of Spin & Marty was released in December 2005 as part of the fifth wave of the Walt Disney Treasures series. On the 50th anniversary of the serial's premiere, Stollery and Considine (who are nineteen days apart in age) are interviewed by Leonard Maltin as a DVD bonus feature about their experiences filming the hit series. After his teenage years, he decided not to continue acting as a full-time career. He studied design at the Art Center College of Design, then became an automobile designer with General Motors and later Toyota. At Toyota, he designed the second generation A40 Series Toyota Celica in 1978.